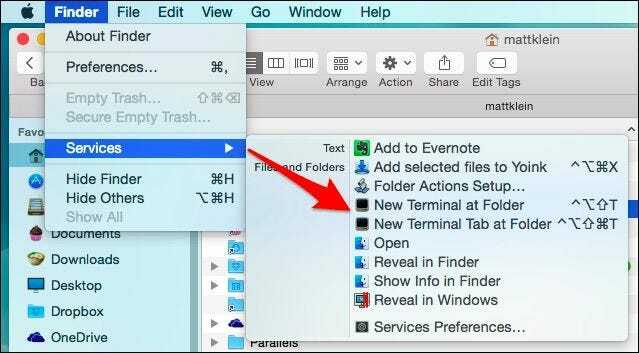 Have you ever been working in OS X’s Finder and wanted to open the Terminal in that exact location? There’s an easy way to do this, and then there’s an even easier way. Windows users have wielded this power for quite some time. In any File Explorer window, you can just click on the “File” menu and then you’ll see two options to open that location in a command prompt. It’s no less easy in OS X, save for a couple steps. When you want to navigate to a location in Finder from the command line. You can open the Terminal and either change the directory by hand, which is time-consuming, or simply drag and drop that location onto the Terminal window. It’s not exactly inconvenient, and if you need to make changes to many files or folders, you can actually drag everything into the Terminal at once. So, the drag and drop method is no slouch, but there’s another way that is, when combined with a keyboard shortcut, ever faster and arguably more efficient. What we want to do is add one or two shortcuts to OS X’s services menu so that you can select a location, open the menu or use a keyboard combination, and instantly have a Terminal window in that location. Thus, when we select a location in Finder, then open the “Finder -> Services” menu, we’ve got two shortcuts to open that folder in a new terminal window. Similarly, right-click on that folder and you’ll see the Services menu at the bottom of the context menu. 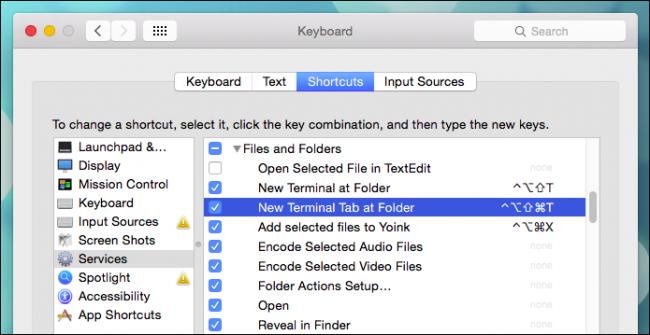 By default, these shortcuts aren’t enabled but it is easy to do so and in the process, though optional, add keyboard combinations to really shore up your Terminal chops. First, you want to open the Keyboard system preferences and click on the “Shortcuts” tab. If you’ve never added keyboard shortcuts to OS X, here’s a more comprehensive article you can read. Optionally, you can also add keyboard combination, which we recommend. Now we’ve got our Terminal shortcuts enabled, and we can use them anytime we’ve got the Finder open. In our case, when we use the keyboard combination “Control + Option + Shift + T”, it will open a new Terminal window. If we use the combination “Command + Control + Option + Shift + T”, then Terminal will open a new tab rather than a new window. 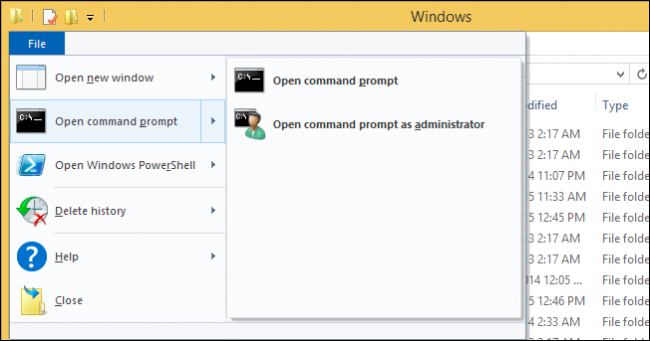 It’s as simple as that to open Terminal windows at any location either by drag and drop, the Services menu, or a keyboard shortcut, saving you time and maybe a few extra steps. Let’s hear from you about your favorite OS X time-savers. Is there anything you’ve done to customize your system that you couldn’t do without? Add your feedback to our discussion forum. We’d love to hear from you.